Through Kimberly's story, author Jean Kwok, who also emigrated from Hong Kong as a young girl, brings to the page the lives of countless immigrants who are caught between the pressure to succeed in America, their duty to their family, and their own personal desires, exposing a world that we rarely hear about. Written in an indelible voice that dramatizes the tensions of an immigrant girl growing up between two cultures, surrounded by a language and world only half understood, "Girl in Translation" is an unforgettable and classic novel of an American immigrant-a moving tale of hardship and triumph, heartbreak and love, and all that gets lost in translation. Jean Kwok was born in Hong Kong and immigrated to Brooklyn as a young girl. Jean received her bachelor s degree from Harvard and completed an MFA in Fiction at Columbia. She worked as an English teacher and Dutch-English translator at Leiden University in the Netherlands, and now writes full-time. She has been published in "Story Magazine" and "Prairie Schooner."" "At age 5, Kwok moved with her family from Hong Kong to a New York City slum. . . . She has spun some of her experiences into this involving debut. . . . Kwok drops you right inside Kimberly's head, adding Chinese idioms to crisp dialogue. And the book's lesson-that every choice comes at the expense of something else- hits home in any language." "Writing in first-person from Kim's point of view, Kwok cleverly employs phonetic spellings to illustrate her protagonist's growing understanding of English and wide-eyed view of American teen culture. 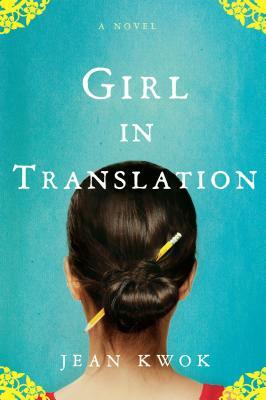 The author draws upon her own experience as a child laborer in New York, which adds a poignant layer to Girl in Translation." "Though the plot may sound mundane - a Chinese girl and her mother immigrate to this country and succeed despite formidable odds - this coming-of-age tale is anything but. Whether Ah-Kim (or Kimberly, as she's called) is doing piecework on the factory floor with her mother, or suffering through a cold New York winter in a condemned, roach-infested apartment, or getting that acceptance letter from Yale, her story seems fresh and new." "The astonishing - and semi-autobiographical - tale of a girl from Hong Kong who, at age eleven, shoulders the weight of her mother's American dream all the way from Chinatown sweatshop to the Ivy League." "In Kimberly Chang, Jean Kwok has created a gentle and unassuming character. But Kimberly is also very clever, and as she struggles to escape the brutal trap of poverty she proves indomitable. With her keen intelligence and her reservoir of compassion, she's irresistibly admirable, as is the whole of this gripping, luminous novel." "I love how this book allowed me to see my own country, with all its cruelty and kindness, from a perspective so different from my own. I love how it invited me into the heart and mind of Kimberly Chang, whose hard choices will resonate with anyone who has sacrificed for a dream. Powerful storytelling kept me turning the pages quickly, but Kimberly's voice-so smart and clear-will stay with me for a long time."